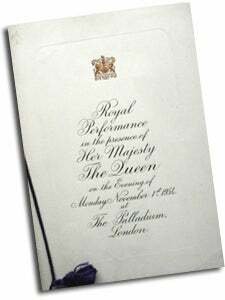 For the 25th Royal Variety Performance, the Jubilee Show, one of the all-time show business greats topped the bill at the Palladium – Bob Hope. He was one of the fifteen artistes introduced to the Queen after the show. The others were hardly less famous names – Noël Coward, Norman Wisdom and Max Bygraves were just some. As part of the warm-up, the Crazy Gang sold ice cream and walked in and out of the Royal Box dressed as cleaners – the first time any artiste had used the Royal Box in this way. Prince Philip exchanged notes with singer Dickie Valentine on the stage of married bliss. 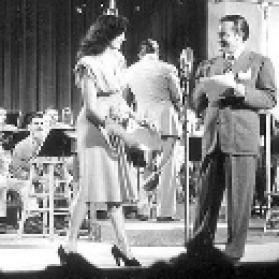 On asking the whereabouts of Valentine’s wife of one week, Betty Flynn, an ice skater by profession, the crooner replied that she was in the audience. ‘What a way to spend a honeymoon,’ said the Prince. One of the features of the Royal Variety Performance each year are the elegant and fashionable dresses worn by many of the ladies present. But this year the men were also singled out by commentators – notably clothes designer Hardy Amies for the velvet collar of this ‘impeccable’ tails. 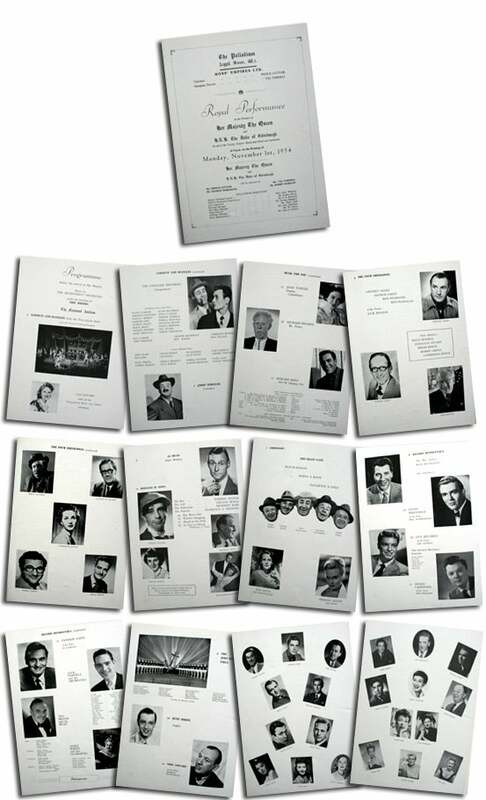 The year marked a remarkable landmark for the organiser of the Royal Variety Show, Harry Marlow. This year’s offering raised around £18,000 for the VABF – bringing the total the seventy-year-old fund secretary had raised for the charity to more than half a million pounds. There was a surprise finale to the show when from all parts of the auditorium came hordes of ‘bobby-soxer’ girls to mob the signers on the stage, screaming as they went.